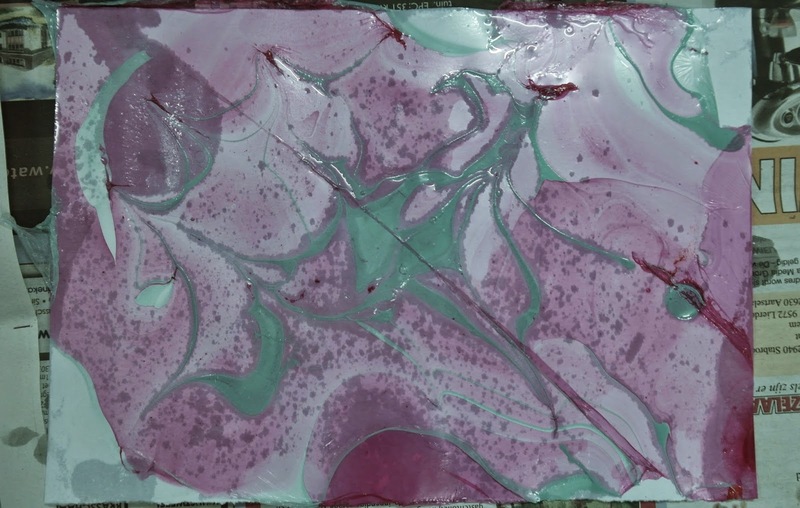 A few days ago, I found this cool technique on the internet to marble with nail polish. I thought it was not going to work, but it worked actually really well. 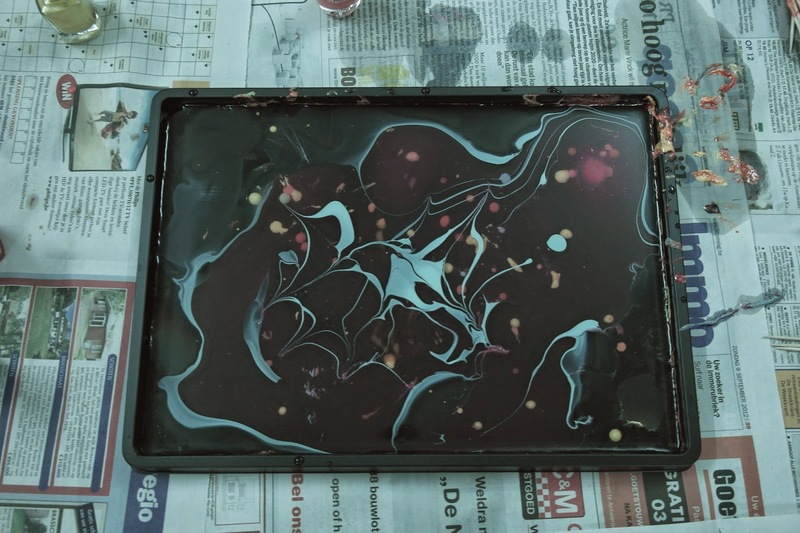 I really love this technique and you can use the result to make some paper DIY's. 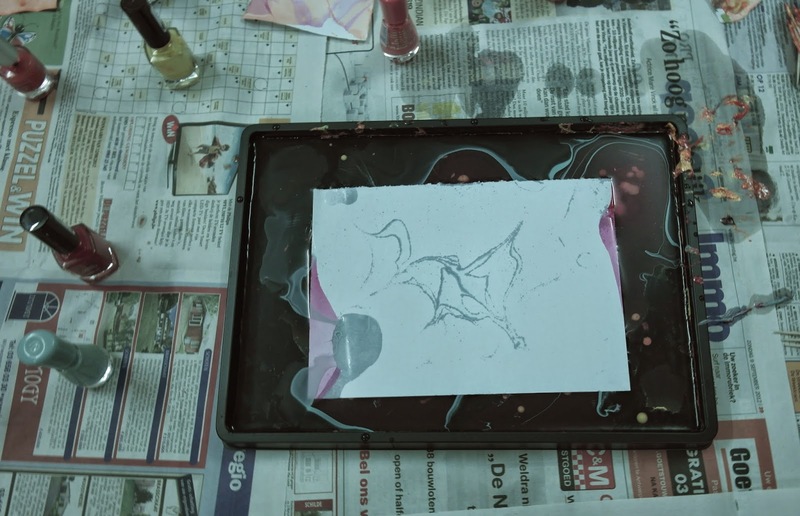 You can also do it with marble paint, but nail polish is just cheaper (if you buy the cheapest nail polish like I did), the result is exactly the same and if you haven't used all the nail polish you can paint your nails with it. You need, of course, nail polish in the colors you want, a bowl of water and maybe some toothpicks. First you just has to do the nail polish into the bowl with water. Then you just has to place a paper on it. Take the paper after a few seconds out of it and let it dry for a few hours.